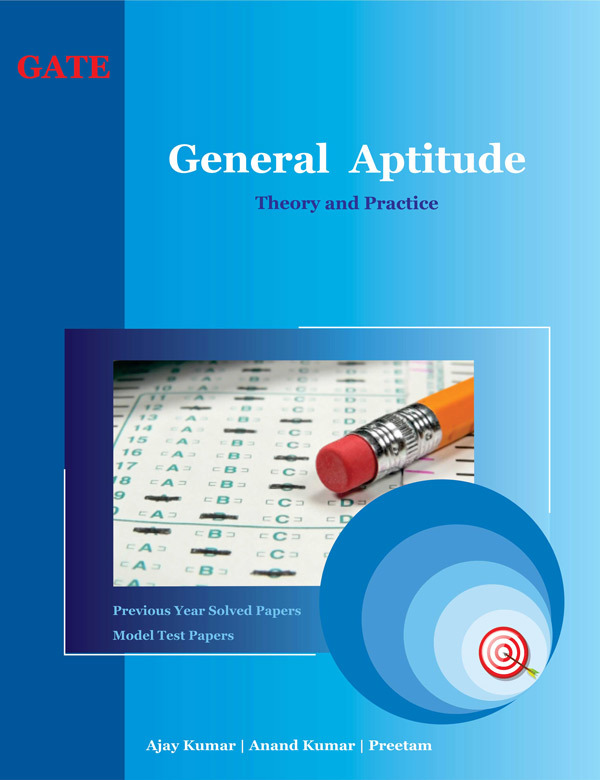 The book “General Aptitude - Theory and Practice” for GATE is developed to augment the preparation of one of the essential components of GATE for all stream such as Biotech, Life Sciences, Physics, Chemistry etc. biotechnology and life sciences examination. The book has been written strictly in accordance with the prescribed syllabus and contains eight different chapters on, numerical comparison, numerical reasoning, critical reasoning and verbal deduction, data interpretation, verbal analogy, word groups, English grammar and sentence completion. Besides a large number of practice questions and quick tricks to solve the questions, three model test papers have also been included. Nevertheless, aptitude also forms the basis of many other national level exams such as MAT, CAT, banking PO, SSC etc. suggesting a much broader span of readership of this book.